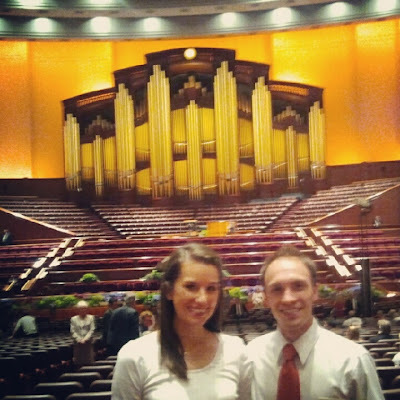 We were lucky enough to get tickets to the Sunday afternoon session of General Conference. Stacie and her roommate joined us. 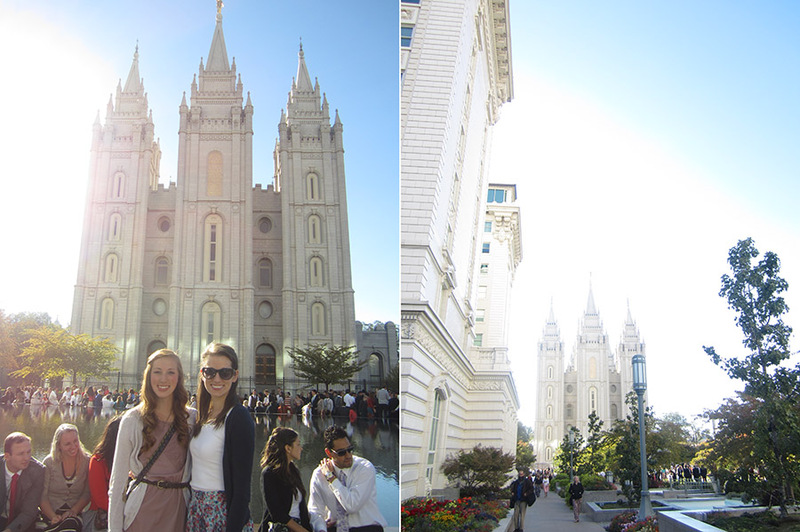 We had a fun time showing her roommate around because she had never been to SLC before. General Conference weekend was wonderful. I feel rejuvenated, enlightened and rested. It always goes by too fast. 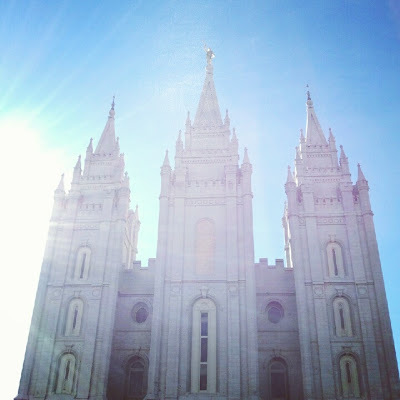 I am glad you got to go to Salt Lake. It is a great experience to see the prophet and his apostles in person. 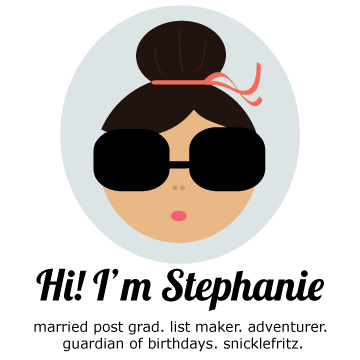 I came across your blog on pinterest and I absolutely love it! Last year I was fortunate enough to attend school in England for 9 months. Our spring break was an entire month so a friend and I backpacked Italy for 3 weeks. 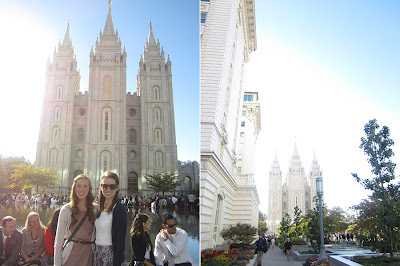 Seeing your pictures and reading your comments reminded me so much of my time there. And what you had to say was spot on! I really enjoyed seeing you in front of places and things that I myself have pictures of. Most importantly though, you gave helpful information that I will use for my next backpacking trip because I too threw a coin in the trevi fountain and can't wait to go back! Happy travels! !